His Holiness Sri Sri "SELVAM SIDDHAR", also known as Dr. COMMANDER SELVAM, is a divine personality, and a great scholar. He was initiated by his Guru, Sri Sri Chinnappa Siddhar, a powerful Atharva Vedic Swami from Kerala, India. Sri Sri Selvam Siddhar is now managing the Sri Akasthiyar Siddhar Peedam as the Madathipathi, as Sri Sri Chinnappa Siddhar’s successor. Selvam Siddhar is the only Swami, who writes about Vedic Astrological Science for numerous papers, from coast to coast, in North America. He is well-respected and widely known by his followers by his names, “Siddhar”, “Commander”, and “Dr.” He is the only Swami in the world, who has first served in a police department. He served as the youngest Area Commander in the Home Guards in Chennai City, Tamilnadu, India. Sri Sri Selvam “Siddhar” helps all mankind to solve the many different problems in their lives through Vedic Rituals. 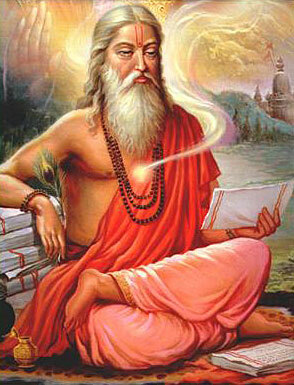 He is the only living “Siddhar” and Swamiji in America with his specific Atharva Veda background. As the only Yaksha Devatha Upaasaka among Swamis, Siddhar Selvam was completely trained by his Guru in the SAPTHA RISHI JYOTHISHAM. Today, after mastering Jyothisham and Thantra, he is assisted by an entire staff of full-time pundits (priests), who he has personally trained in all the Thantras.